Development is not rocket science, neither is it a mere game of chess. It has to be conscious and deliberate. Development is critical and essential to the sustenance and growth of any nation. A country is classified as developed only when is able to provide qualitative life for her citizenry. According to research, a critical assessment of Nigeria’s development despite her abundance in human, natural and material resources reveals that the country is yet to achieve the desired expectations as clamoured by her citizens. The growth of the agricultural sector, a system of mass education, growth of local industries, export-oriented strategy, the discipline of leadership, existence of effective bureaucracy, human resources development, encouragement of a dynamic private sector working in co-operation with the government towards a society-wide vision of development, institutional ability building and attention to the problems of governance, consistency and policy stability are key influencing actors critical to the development of our nation. Only recently, our next door neighbour, Ghana, took everyone by surprise with the launching of new Kotoka International Airport, Accra, with state-of-the-art facilities and an imposing edifice that has become an attraction and destination for tourists. This feat was no doubt achieved within the shortest period possible with its government’s support. In the case of Nigeria, the agency under whose care the nation’s airports are domiciled, the Federal Airports Authority of Nigeria (FAAN), have been in the public eye for quite a while – not necessarily on positive notes as the case with Kotoka Airport, but mostly about its unbridled controversies with concessionaires and other investors in the industry. Is it gratifying, for all intents and purposes for this agency to always be in the public eye primarily owing to its avowed mission to stifle the progressive efforts of investors? Rather than being impartial, they have assumed combined and conflicting roles as both competitors and regulators. Or isn’t it necessary for government to provide the much needed support, atmosphere and enabling environment for the nation’s aviation to thrive and compete favourably among the league of nations of the world, like Ghana, South Africa, Ethiopia, Kenya, Egypt, Malaysia, United Arab Emirate (UAE) e.tc? This appalling situation owing to a legion of factors not only frustrates infrastructure development in Nigeria and sets us at the backseat of national development, it does beg for an alternative solution. If as a country, we are still at the stage where there are no proper heath care systems, where power generation and supply is still a challenge, where access to quality education is an issue, where so many things that require government input is lacking, then why not provide an enabling environment for private sector investors? The Public Private Partnership (PPP) model has worked in the development of sectors such as energy, mining, transport and telecommunication in other countries. The John F. Kennedy International Airport Terminal 4 (JFK Terminal 4) was the first major terminal to be managed by a foreign airport operator (Schiphol Group) in the United States. It is the only non-airline, privately-operated terminal at JFK. In May 1997, the Port Authority of New York and New Jersey awarded a concession contract to JFK International Air Terminal LLC (JFKIAT), a subsidiary of the Schiphol Group, to operate, manage and maintain Terminal 4 until 2043. According to the concession, JFKIAT was in charge of expanding the Terminal 4 and upgrading the airport infrastructure, which includes nine new international gates, customs and border security facilities and additional baggage space. JFK remains one of the best air terminal models for the 21st century. It would take more than words to achieve a Public Private Partnership (PPP) that works and it is only when such collaborations work that the country can enjoy the benefits. According to the International Civil Aviation Organization (ICAO), a Public-Private Partnership (PPP) is a partnership between the public sector and the private sector for the purpose of delivering a project or a service traditionally provided by the public sector. The advantage of a Public Private Partnership is that the management skills and financial acumen of private businesses could create better value for money for taxpayers when proper cooperative arrangements between the public and private sectors are used. However, in Nigeria, there is apathy towards the practical operation of this model stemming from the attitude of Government; lack of investor security; lack of respect for the sanctity of contracts and the rule of law. Under this scenario, the case involving Bi-Courtney Limited, operators of the MMA2 airport terminal is certainly not a good poster for the country. The MMA2 airport has made it easy for the travelling public to get better service than any other airport in the country. It has introduced innovation to air transport management and has been publicly adjudged the best terminal in the country owing to constant maintenance of modern facilities, technology innovations, and good service to provide faster, safer and more customer friendly experience for terminal users. One must therefore celebrate the promoters of MMA2 for resilience and doggedness for a rightfully earned reputation in the Nigeria’s aviation industry through the demonstration of the positive possibilities for national advancement through Public-Private Partnership against all odds. The concern though, is that after 12years of such monumental success, no one has been able to replicate such a facility or undertake similar private sector investment, instead FAAN has decided to sell our fortune to the Chinese by investing in an infrastructure that has not been completed in the last 6years. Meanwhile the MMA2 which remains the Nation’s PPP pioneer success story and a key employer of labour was completed in just 3years. This PPP mechanism has influenced employment creation, leading to gainful employment of an army of unemployed including capacity development for skilled workers, which is a mainstream contributing factor for the boost of any economy. Going by these reality, it is obvious the only way for development to happen in Nigeria is to attract the private sector to play a critical part in this journey. If only more great Nigerians will heed the current call of the masses by assisting government to provide quality service in all sectors in the economy. Interestingly, there have been ongoing engagement and sensitization by officials of the same government on development, transformation, collaboration etc. and the need to give PPP a chance since government alone can no longer shoulder the responsibility of providing all necessary critical infrastructure for the country at large. But how best do you convince serious minded investors about the PPP arrangement when local investors are being treated as unwanted partners? 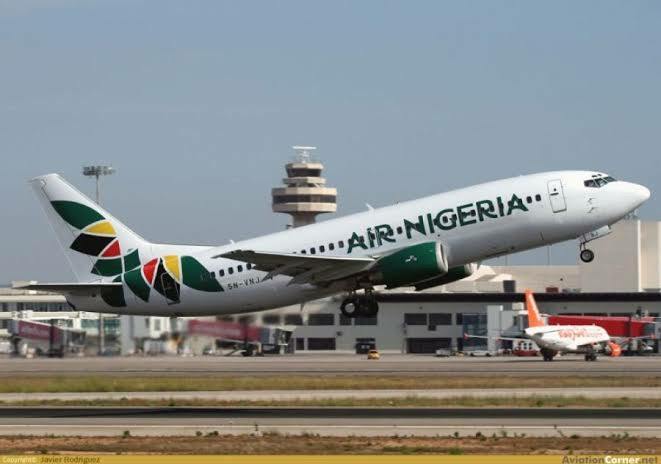 When relevant agencies who are to create the enabling environment for genuine private sector participation in the infrastructure development of the nation’s aviation sector, across all levels, routinely breach binding agreements / contracts with sheer impunity and pay lip service to the ease of doing business in Nigeria. Clearly, there is a need to look inward to see to how the sector can move forward, mine business opportunities available in air transportation services for investors and all key stakeholders in order to improve both the airport and national economy and discontinue dissipating energy on how to fight perceived enemies within. The industry is begging for serious attention. The increasing influence of airports in the development of the region where they are located makes this matter one that requires unwavering attention. This age-long tradition of inherent economic sabotage cannot take the sector anywhere. It’s high time to borrow best ideas, global best practices and apply concepts that have truly been impactful – all for the benefit of this struggling industry and our Nation at large.